Born in the Guanabara Bay in South-East Brazil on August 1997, Lucas Tolentino Coelho de Lima, also known as Lucas Paqueta, was inducted into the football world through the Flamengo Academies which he joined at the age of 8. He made his senior debut in the 2016 Campeonato Carioca while he played his first Brasileirão game on May 2017 and he has since kept on amazing the public. His extraordinary performances during the past season earned him his first two caps in the Brazil senior team, as he was used as a substitute in the friendlies against El Salvador and the USA in September. Gazzetta Dello Sport says that Paqueta is considered in his home country as the most promising talent since Vinicius Junior joined Real Madrid. Neymar appeared confident that Paqueta is on his way to becoming one of the best players in the world in the future. Armed with magnificent technical qualities and a deadly left foot, the 21-years-old is regarded as one of the soon-to-be most complete midfielders. One of his primary characteristics is his position versatility. During the 88 senior appearances he amassed for Flamengo, he played in at least 5 different positions; a 'mezzala', a false-9, a left-winger, a playmaker ('regista') and even a center forward even though he has confessed that his favorite position is that of a classic playmaker/trequartista while claiming that his idols are Kaka and Andres Iniesta. 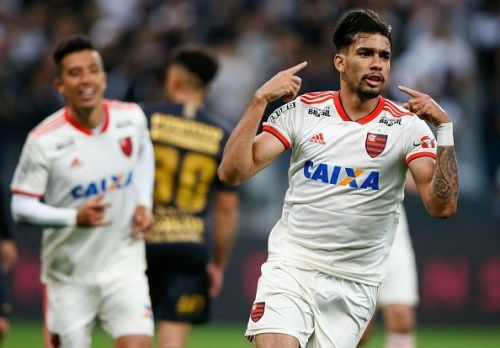 In the current Brasileirão season, Paqueta is the top-scorer amongst his teammates with 9 goals. He has also made one assist which made him the youngest player in the league to contribute to at least 10 goals. He has scored a total of 17 times with the Flamengo shirt across all competitions, most of them with his strong left foot. From 15 to 18 years old, Paqueta gained 27 centimeters in height and his current height helps him dominate in the air. He has won 95 aerial duels so far this season, a performance second to none, according to Squawka statistics. His contribution to defence, albeit his advanced position in the field, is not limited to aerial encounters. He has so far made 65 successful tackles while averaging a little less than 3 interceptions per 90 minutes played. With regards to his contribution in the attacking domain, Paqueta is used at Flamengo as the dot who connects defence and offence. He is a talented dribbler whose elegant movement in the field, combined with the sudden changes of directions as he dribbles past opponents, reminds a lot of Kaka and his marvellous AC Milan years. As of August, Lucas Paqueta averaged 2.4 successful dribbles, 1.3 key passes and almost 3 shots per game. 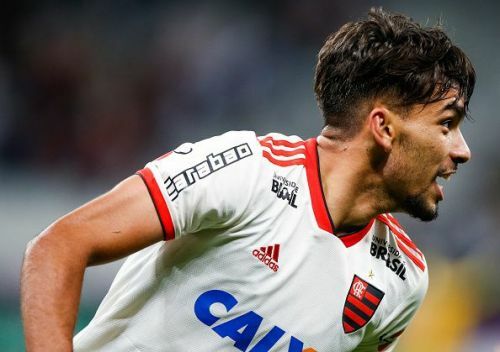 AC Milan's general manager, Leonardo, confirmed that the club has reached an agreement with Flamengo for the transfer of Lucas Paqueta which will become official in the coming days. The Rossoneri will pay €35millions, plus 10 on bonuses if he succeeds in Italy, to the Brazilian side and the player will arrive at Milan in the upcoming the January. As per the reports, Leonardo and AC Milan have managed to win the race to the signing of Paqueta ahead of clubs like Liverpool, PSG and Manchester City. The fee to be paid is a record not only for the club but also for the Serie A with regards to the transfer of a player from the Brazilian league. In fact, Gabigoal signed for Inter for €29millions while Pato signed for the Rossoneri for a fee of €24millions. Paqueta will earn €1.5-1.7millions per year on his 4-and-a-half year contract. What the best position for him is as a Milan player is a matter of debate. Given his tactical versatility, Gatusso can exploit Paqueta's talent in a variety of positions. However, according to Milannews.it, AC Milan intend for the Brazilian to become a 'mezzala' (a wide central midfielder in a 4-3-3 line-up) in order to give coach Gatusso depth in this role that is occupied mainly by Giacomo Bonaventura and Franck Kessie. Nevertheless, it stands to reason that Paqueta will be used frequently in more advanced positions, given his excellent technique, creative ability, and vision on the field. To be named the 'new Kaka' by media outlets, like Corriere Dello Sport, can be equally flattering and daunting. Paqueta is widely considered as the most promising Brazil player at the moment and he ought to repay Leonardo and AC Milan's trust as well as the at least €35millions that will be used for his transfer.